// A primary focus of Deano’s Knowledge Imprint has alway been to highlight young, like-minded artists who are pushing their craft on a global scale. 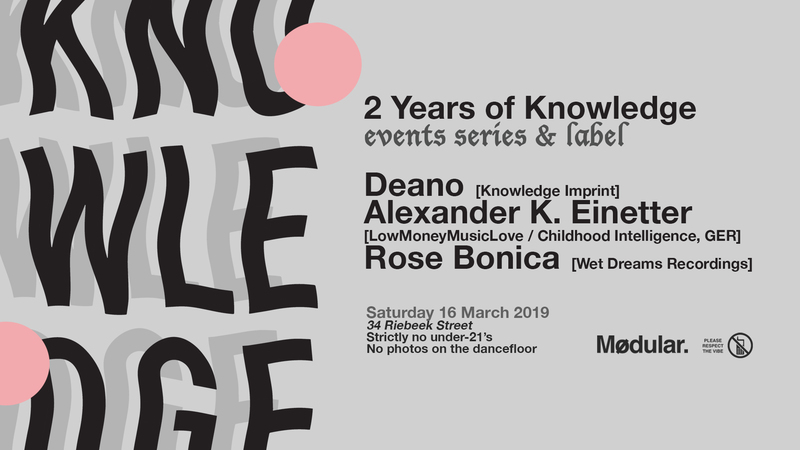 // Deano’s relationship with Italian producer/DJ Kaiser has been growing over the past few months to the point where Deano has contributed to Kaiser’s KSR label and Kaiser has put together a 4-track EP for Knowledge Imprint. For this edition, Deano invites highly underrated producer/DJ Aryu Jassika to showcase his take on contemporary electronic music, whilst duo Three Phase Soundsystem make their debut in the basement with a considered blend of house, techno and everything in between. 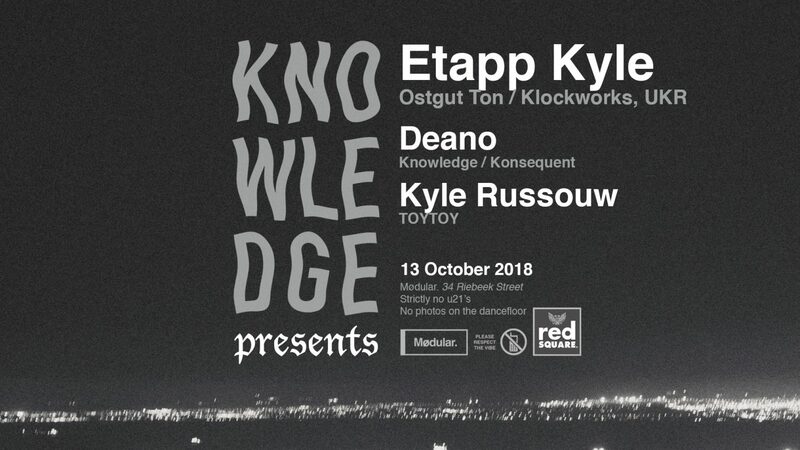 Deano / Knowledge welcomes the inimitable Etapp Kyle back to Cape Town for yet another highly anticipated performance! With productions that employ pristine and explorative sci-fi landscapes and DJ sets that span a wide range of focussed electronic music, Etapp Kyle is an artist with great technical skill and also a fine ear that has been developed through years of experience. With close ties to Berghain and the Ostgut Ton team, he has learned from the best in the game, and this is evident in his amazing rise over the past few years. 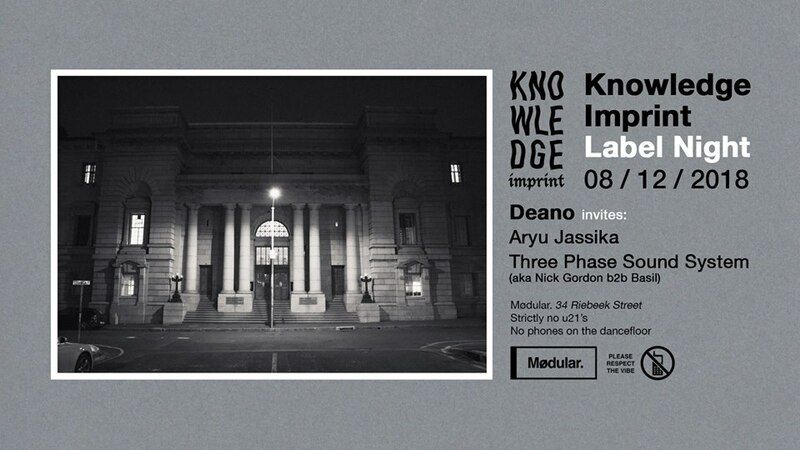 Join Deano in celebrating the (re)launch of his label. 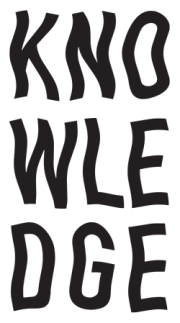 Knowledge Imprint is a platform for Deano’s own releases and also seeks to find young, like-minded artists of interest. 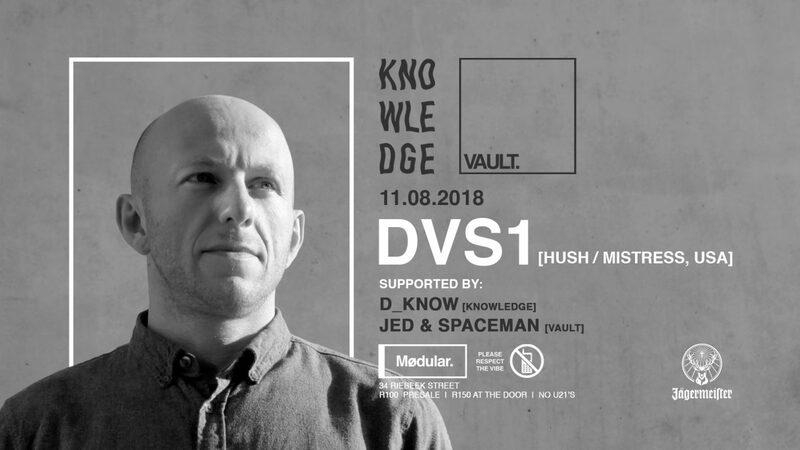 D_Know‘s Knowledge Recordings and VAULT proudly present DVS1 for his highly anticipated South African return! After his debut appearance at the successful collaborative event between Knowledge and TOY TOY at ColorBox last year, it was only a matter of time before Zak Khutoretsky (aka DVS1) made it clear he wanted more of what our country has to offer. And seeing as we all felt the same, we duly obliged in securing this exclusive Cape Town show! 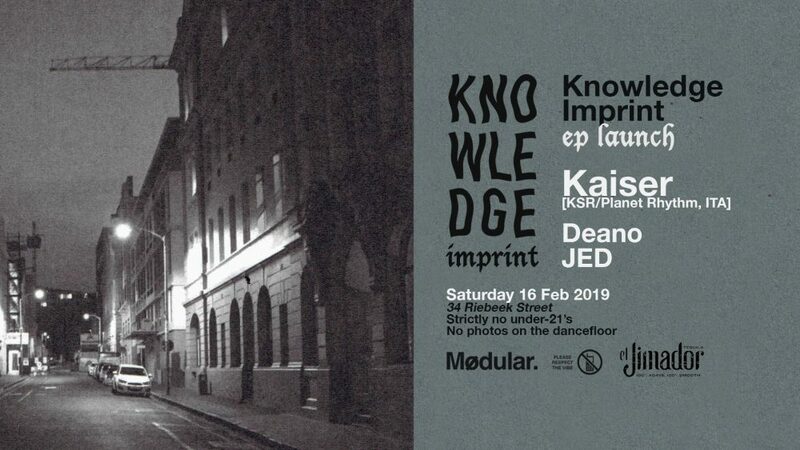 D_Know is very proud to present 1 YEAR of his label Knowledge Recordings with a special event happening at his second home: Mødular. To top it off, we are thrilled to be able to reschedule with Dutch house and techno artist Bas Amro after he unfortunately had to cancel his previous booking in CT! 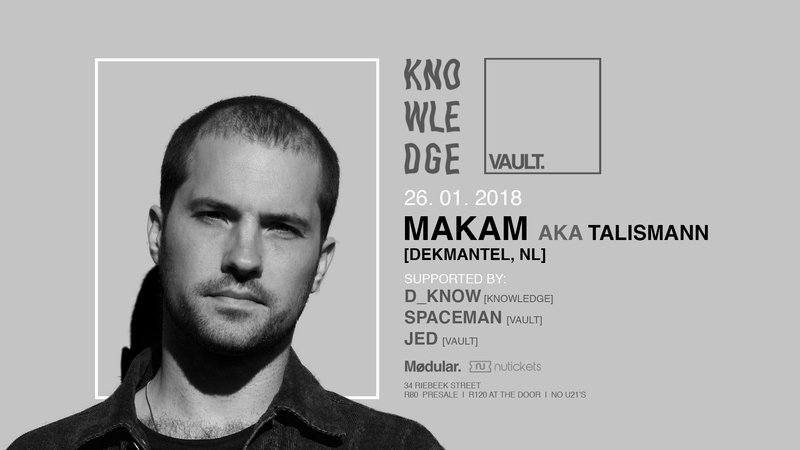 After a successful night with Anthony Parasole earlier this month, D_Know’s Knowledge Recordings in collaboration VAULT proudly present another fantastic South African debut, this time in the form of Dekmanteltitan Makam aka Talismann! 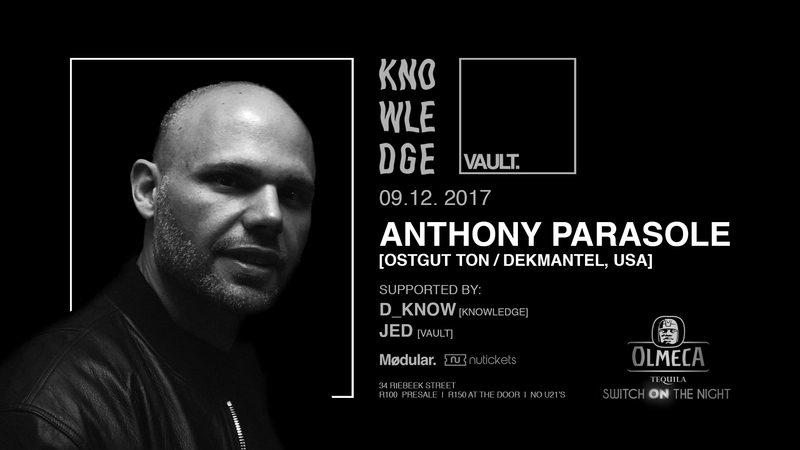 D_Know’s Knowledge Recordings in collaboration VAULT proudly present Anthony Parasole for his first appearance on South African soil! As an industry titan, label owner and long-time resident at infamous Berlin club Berghain, his DJ sets are known to be dynamic, diverse and powerful! Expect the unexpected, come with an open mind and join us on the journey at this exclusive, LIMITED-CAPACITY event! 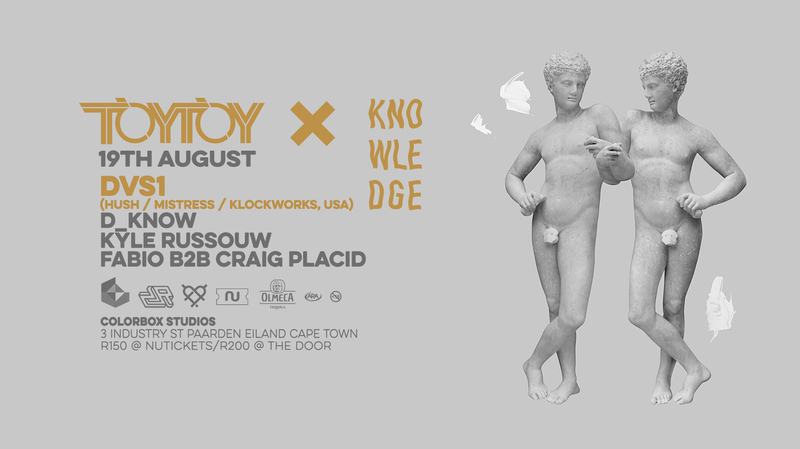 TOY TOY in collaboration with D_Know‘s Knowledge Recordings proudly presents DVS1 for his South African debut! Alongside D_Know, Kyle Russouw, Fabio and Craig Placid. As we warm up for TOY TOY x Knowledge Feat. 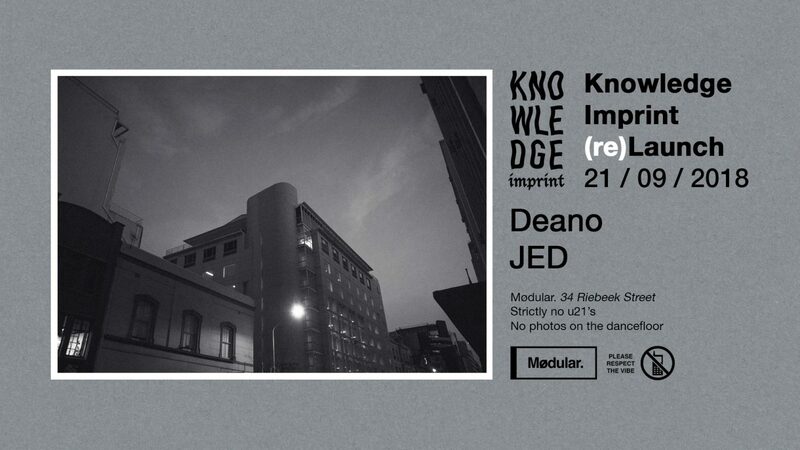 DVS1, D_Know brings you the second edition of his #Knowledge label nights at Mødular. with two xxxclusive extended sets. D_Know brings you a special edition party at Mødular. 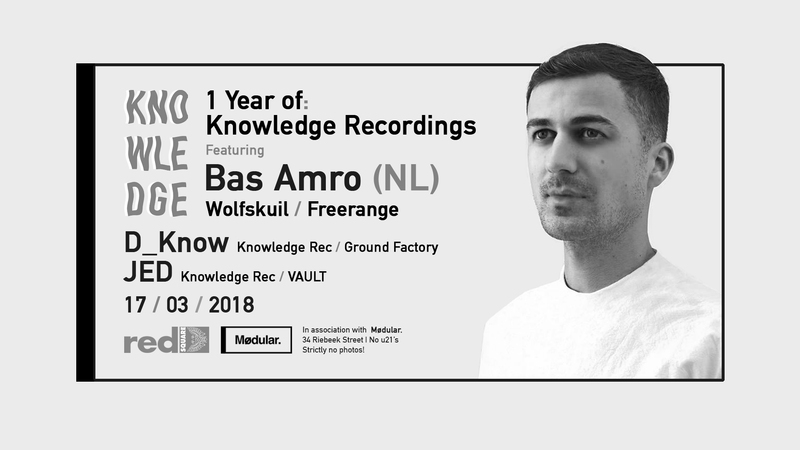 in celebration of the development of his label, Knowledge Recordings!